Here's the best from this week's reading pile. Enjoy! Are you a framer, or a polisher? A good read. (Godin.) Another Godin treat? The opposite of why is now. If you like the Leadership Freak, keep in mind that you can hear him speak at NAFCU's Annual Conference. I won't hit you up to attend the conference today. That shameless plug will happen later. But for now, I have a question. What is your favorite part of visiting Las Vegas? For me, it is the location of my favorite non-wife date - which happened to be with credit union attorney, and friend, David Reed. Fairly typical when we get together. We dined at Paris, with the perfect view of the Bellagio fountains. We then grabbed a cab to visit the Pawn Stars store, made famous by the TV show. We met an amazing bartender who has poured drinks in Vegas since the 1960s. He was a hoot. A bit scary, but a hoot nonetheless. Mandy seemed a bit jealous when I told her about the evening. Holler if you'll attend our AC. I may still remember where that bartender works. Credit Union Employee Challenges: Good or bad news? What are the three biggest things affecting your personal performance in a negative way? Here's the Here's a link to a high-density image, so you can see some of the smaller challenges, such as resources and unreasonable expectations. Is this good or bad news? I would say both. The bad. Nearly everyone is tired. Overworked. Stressed. Struggling to find a work-life balance. Another problem? Staffing. Most see their colleagues and took one of two positions. They aren't trained enough. Or they aren't the right people. And all of these folks are the same people that you depend on to execute your credit union's vision. The good. If you think about everything listed above, you could find yourself deep in a funk. But turn the issue around and it should give you hope. If an organization is willing, it can attack these problems head-on. Prioritize. Set clear expectations about those clear priorities. Push off that which is't essential. Make sure you have the right people "on the bus." None of that is rocket science. But I didn't say it was easy, either. I wish I could say that we solved these issues at NAFCU as well! So, faithful readers...do those challenges seem right to you? Are any missing? Why are meetings and emails so low on the list? I'd love to hear your thoughts. Last week, many of you furiously answered my survey to list your credit union's largest challenges. The chart is both predictable and surprising. What's predictable? I think we could all guess that regulatory burden, loan growth and income would be large challenges. What's surprising? Outside of the top three challenges, everything else falls off a cliff. It's almost like the Sochi Olympics. If you didn't make the podium, no one knew your name. Here's a link to a high-density version of the chart, which will allow you to see even the smallest of challenges, such as technology, culture and competition. My hope? That NCUA, the CFPB and Congress somehow digest this chart. The economy, coupled with an ever-increasing regulatory burden (much of which dissuades lending), has America's credit unions caught between a rock and a hard place. The rock. Credit unions need more income and more loans. Yes, we are not-for-profits. But we must take in more than we pay out. 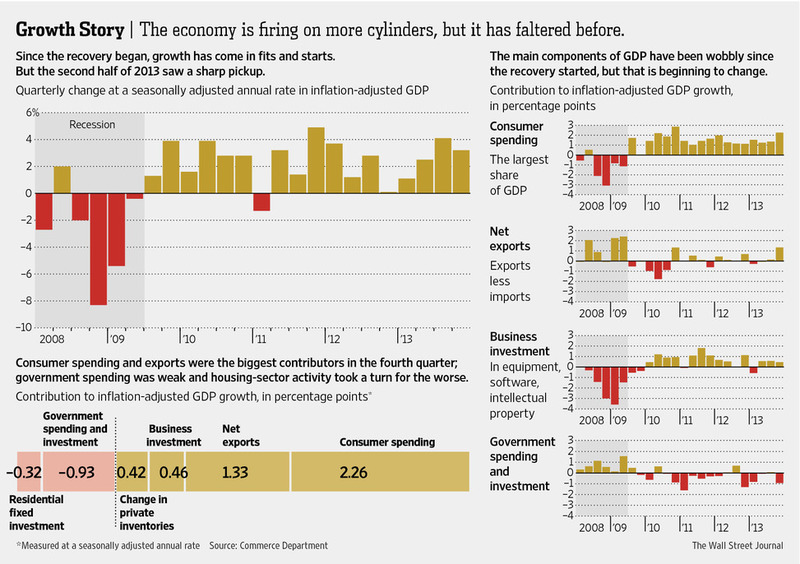 The economy is on the mend, but we aren't where we need to be. The hard place. We'd love to make more loans, but so much of our time is taken up organizationally by compliance. Forms. Policies. And many of the new regulations make it harder to grant loans to our members. It is hard to run a business when you are constantly adapting to curve balls thrown at you by Washington and Alexandria. Creativity? Many executives tell me they are focused on survival. On Thursday, I'll discuss the results of the survey as they relate to credit union employee challenges. The results are both depressing, and full of hope. Here's the best of this week's reading pile. Enjoy! Not only did we not cause the crisis, we continue to provide extreme consumer value. NAFCU Study: Americans see $17 billion in benefits yearly from tax-exempt credit unions. Everyone, pat yourselves on the back. It is well deserved. For all I gripe about email, it is a powerful tool that is here to stay. At least for a while. This is what Kate thinks of email. That being said, even the best tools have their limits. There are times when "email" falls short. A short meeting or phone call might be better. Or no communication at all. Just when are those times? When you broke your keyboard typing in anger. If a colleague who works on a different floor heard you type your email, you may want to consider a cooling off period before you hit send. Anger and emails are a dangerous couple. Love is forever? That's up for debate. But not for emails. Hitting "reply all" for 99.45% of normal work emails. Say you send an email to 10 people asking for input. One person "replies all." The other nine have a choice. Do they respond to your original question, or do they respond to the new universe that consists of your question and the response? Before you know it, people are weighing in on responses to responses that responded to a response that didn't come from you. If you want a brainstorming session, call a meeting. If I ruled the world, I'd create a pop-up box when someone hits "reply all" to make sure that's what they really want to do. I'm telling you, 99.45% of the time, it isn't. When dealing with Jimmy Question. We all have colleagues who would fall into the category of Jimmy or Jane Question. I play that part quite often. When you ask Jimmy or Jane a question, your question will get him/her thinking. Your question will trigger their question. And your answer to their question will generate another question. And so on. There's nothing wrong with Jimmy or Jane Question. They are as God made them. So when dealing with them, do a drive-by meeting. 11 times out of 10, it will be more efficient. And when you get the answer you need, plug your ears with your fingers, and run away. During a weekend, before 8:30 a.m. or after 6 p.m. There are many exceptions to this rule, but try to avoid breaking it. I've heard my phone buzz at 4:30 in the morning. My thoughts never go to a happy place when that happens. 9 times out of 8, the email was not that important. If you need to send the email, that's cool. Just save it as a draft until normal business hours. The world won't stop turning. When the personal touch comes into play. There's nothing wrong with the congratulatory email. But it pales in comparison to the congratulatory phone call. Or letter. Today, there are more people struck by lightning then those who receive a hand-written letter in the mail. This statement may not be true, but it feels right. And don't deny it. I'm sure there are other times when you should not send an email. But five reasons seem to be enough for today. So, faithful readers...what are other examples of when people should put down the email machine and slowly walk away? Sign up here to receive regular e-mail updates from this blog. Back in 2012, I asked you to list some challenges. Challenges for your credit union. And personal challenges. Here were the results. Well, I need your help again today. If you would, please complete this short survey. I kept the questions the same. What are your credit union's biggest challenges in 2014? Again, you can access the survey here. Please feel free to share with your colleagues. The survey closes next weekend, and I'll share the results next week. I could use an Alleve or two at the moment. Pax is finished with her mischief, although I would have named the storm Snochi. My quest to turn Kate and Briggs into self-sustaining chore machines made some progress, as the dynamic duo helped dig Family Demangone out of our snow cave. Kate just loved her pink shovel. Happy Valentines Day, everyone. For those within a 9-iron of I-95, I hope your back feels better than mine. Now...on to the links. I was a Little League assistant coach one year. It was a wonderful experience. I played Little League baseball nine years myself, and I think the organization does a ton of good. One day, we had a young pitcher (11 years old) who was struggling. He had walked a few batters in a row. After the second walk, the opposing team whooped and hollered. The kid put his head down, and I could see that he was rattled. "Just throw strikes," bellowed our head coach. Now it was my head that dropped. I turned to him and asked..."Just what do you think he's trying to do out there?" I called time, and met the pitcher for a chat. Which I recall involved asking him what was his favorite topping on a pizza. He seemed puzzled. I was just trying to get him to think about anything but throwing a strike. I told him that there was nothing I needed to tell him to get him out of his rut. He knew how to pitch. My only practical advice was to tell him to look at the catcher's mitt, clear his mind, rock, and then fire. Telling a pitcher who is struggling to "just throw strikes" is anything but useful. Anything but. What brings this up? This article (Psychology Today) that I recently read, which discusses the futility of telling people to think outside of the box. In short, here's what the article discussed. You may recall the following mind teaser. How do you connect nine dots with four continuous lines? As you see, the solution involves working "outside the box." Simple, right? Maybe not. During a study, researchers worked with two groups. One group had no instructions. But the researchers told the second group that the trick to solving the puzzle was to work outside the imaginary box boundaries. That should have given the second group a huge advantage, right? Well, not so much. The second group was told that the solution required the lines to be drawn outside the imaginary box bordering the dot array. In other words, the “trick” was revealed in advance. Would you like to guess the percentage of the participants in the second group who solved the puzzle correctly? Most people assume that 60 percent to 90 percent of the group given the clue would solve the puzzle easily. In fact, only a meager 25 percent did. How many times have we been asked to think outside of the box? Asked to be creative in a given situation? I've asked that of my colleagues more than once. As if there's a creative on/off switch. As if they needed to be told to just throw strikes. Directors and officers of a corporation in making all decisions in their capacities as corporate fiduciaries must act without personal economic conflict. The duty of loyalty can be breached either by making a self-interested transaction or taking a corporate opportunity. I love the duty of loyalty. As a concept, it is extremely powerful, yet highly underrated. You’ll hear the term from attorneys as they talk to credit union directors. Many don’t realize that the concept extends beyond the board to include officers and sometimes key employees. Unfortunately, the power of the duty of loyalty gets lost in discussions of case law and litigation. We focus on trees, but ignore the forest. And that’s too bad, because as I said above, it is powerful stuff. The concept of the duty of loyalty often is tied to financial interests. For example, a director shouldn’t vote on whether to hire a vendor that is partially owned by his son. His loyalty is to the credit union as a director. He cannot show any loyalty to his son, so he should announce the conflict and sit that vote out. I wish, however, that the duty was extended, or in a way, amplified. If I were King, here’s how I’d rework the duty of loyalty. As a director or officer, you must remove “you” from your thoughts. When you walk into the credit union, check your baggage – your hunches, dislikes, biases, and the like, at the door. Feel free to pick them up later. But when you work for the credit union, you’ll make decisions that are best for the membership. Listen to dissenting views. Someone else might have an idea that would better serve the membership. Approach decisions with no pre-conceived notions. An internal bias might shield you from something that would better serve the membership. Listen more than you speak. You’ll never learn anything new by listening to yourself. By listening more, you might pick up something that would better serve the membership. Ignore rank. I don’t care where an idea comes from, as long as it lets us better serve the membership. Tackle tough problems. Not easy, but my guess is that while the process is tough for you, it would better serve the membership. Check your ego. Ego is about you. Not about what is best for the membership. Be respectful to colleagues. Being petty, condescending, rude or inconsiderate is selfish and destructive. It stops progress and crushes morale. Probably not what is best for the membership. Be self-reflective. There are likely ways that you could do better, which would better serve the membership. And to me, that might be the highest compliment possible. I hope to see many of you at two upcoming NAFCU conferences. First, is the NAFCU Regulatory Compliance School. Perhaps my first love! Second, I'll be attending NAFCU's CEOs and Senior Executive's Conference. If you are are attending either, please let me know. I'll be sure to say hello! Here's the best of my reading pile from this week. Quite a few of you have told me that you enjoy this "weekend reading" email. Feel free to pass this along to others and urge them to register to have the blog emailed to them. "The most staggering thing about the no-profits business model is to contemplate the extent to which rivals are simply helpless in its face. “There is just no way to compete with them on price,” Sarah Rees of the English independent bookstore Cover-to-Cover told the Observer’s Carole Cadwalladr in her Nov. 30 inquiry into the store’s rise in the United Kingdom." "A company that’s trying to turn a profit simply can’t compete on price with one that isn’t."